Think FaceTime is boring because you can only chat with one other person? 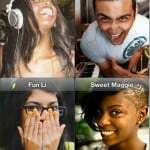 The updated ooVoo Video Chat app has something for you. Version 1.1.1 of the app is highlighted by the ability to video chat with 11 friends on your iPhone or iPad at the same time. And for users of the iPad 2 and new iPad, you can make four-way, HD video calls. 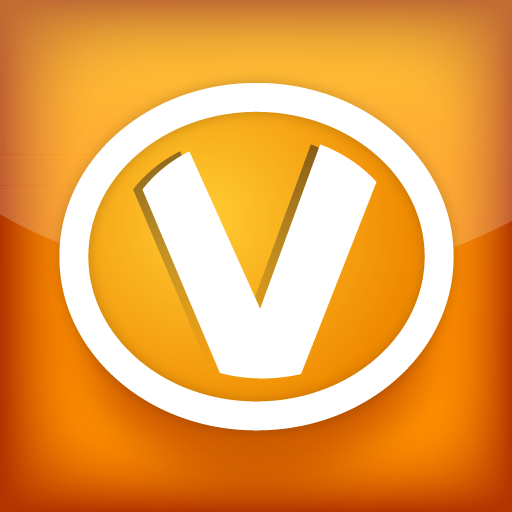 The app also has strengthened its ties to social networks. Users can login and video chat with friends on Facebook directly from their iPhone or iPad. You can also easily search for Twitter and Facebook friends who have the app and are available for video chatting. The update also promises faster connections while initiating group calls. If you’re too shy to make video calls, you can also text and voice chat with other users of the app. 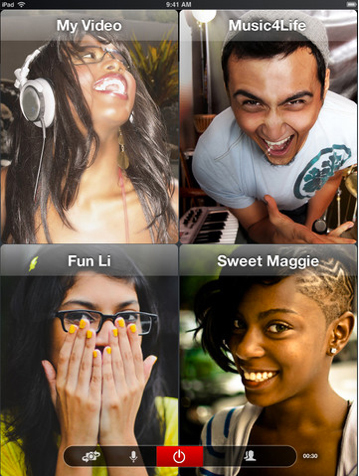 The ooVoo Video Chat app is universal and available for download in the App Store for free. The service is ad supported, though. While I like the new features, and think the 12-person video chatting feature is interesting, I can’t exactly see a situation where I’d want to have such a large group chat. FaceTime calls with my friends and family are usually hectic enough. But add 11 other people in the mix, and I wonder how everyone could take turns talking.